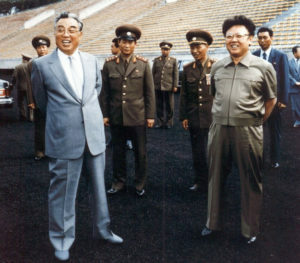 The transition of power from Kim Il Sung to Kim Jong Il was a gradual one. From 1980 until 1994, it’s probably that the younger Kim did most of the day-to-day ruling of North Korea, with Kim Il Sung acting in a more removed capacity. When Kim Il Sung did die, it was at an opportune time. His son assumed power in 1994, just in time to preside over a famine that would kill over two million North Korean citizens.